Hyundai has finally announced the name of its Maruti Vitara Brezza-rivalling sub-4-metre SUV that will be unveiled on April 17. The new model, which has been named as the Hyundai Venue, was until now known as the Hyundai QXi (codename). Other than the Maruti Vitara Brezza, the Hyundai Venue will rival the Mahindra XUV300, Ford EcoSport and Tata Nexon. Its launch will take place in mid-May 2019. It is being said that the Hyundai Venue would make its world premiere at the New York Motor Show, while it will be simultaneously unveiled to the Indian media at the company's Sriperumbudur-based facility near Chennai. The new model will be manufactured at the company's Indian plant and at the Ulsan-based facility in South Korea. Spy images have so far revealed that the new model will have a bold stance and an angular design. The highlights of the styling package should include the latest version of the company's Cascading grille and Composite Light multi-tier lighting setup, while the side profile will be reminiscent of the Creta due to a similar DLO. The new Brezza-rival will likely go on sale with a 1.0-litre turbo-petrol, a 1.4-litre naturally aspirated petrol and a 1.4-litre turbo-diesel motor. 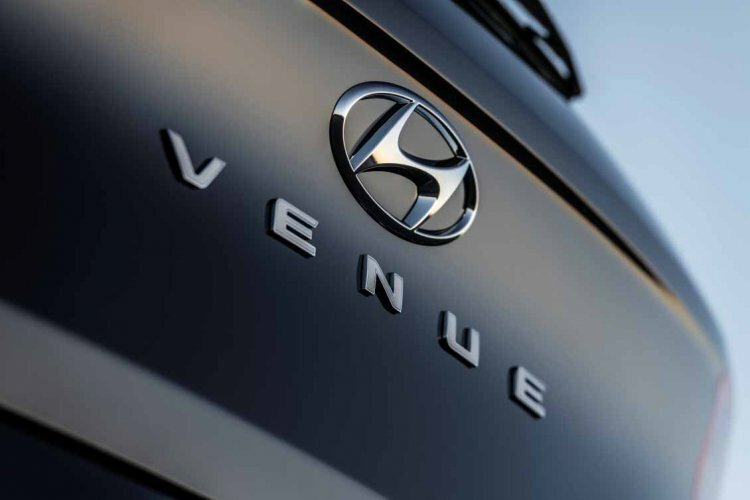 The equipment list of the Hyundai Venue will include smartphone connectivity options, ventilated front seats, and an electric sunroof. The standard safety suite will comprise dual front airbags, ABS with EBD, reverse parking sensors, front seatbelt reminder (SBR), and high-speed warning buzzer. The top-spec trim is likely to even offer Vehicle Stability Control (VSC), Hill Start Assist, Reverse Parking Camera with dynamic guide lines and a full quote of 6 airbags.